With all masks and wraps you are exfoliated first, your chosen treatment is applied, you are wrapped in comforting warmth for a rest period, then the product is removed with warm towels, finally a moisturizer is applied leaving your skin rejuvenated, healthy, and soft. You will be completely hydrated and soft after this very emollient body wrap lotion is applied. Whether you feel dry in the winter or summer, you will appreciate this very skin softening treatment. Revive your mind and skin. Peppermint purifies, uplifts and invigorates. Benefits: Softens skin, restores the skin’s natural acid mantle, rejuvenates, and removes impurities. Now you can enjoy centuries old relaxing techniques handed down from mother to children. I have seldom experienced anything more relaxing than these amazing techniques. People tell me everyday that their favorite part of getting their haircut is the scalp massage at the shampoo bowl and this goes far beyond that experience! This technique is by far the most relaxing, indulgent treatment I have ever experienced for relaxing the head, face, and shoulders. Your scalp with be thoroughly massage with an Aromatherapy Oil blend, and your face will be treated to both relaxing and invigorating strokes, including acupressure points for relaxing and rejuvenating the face. Your neck and shoulder will also get some attention with nice kneading strokes to relax and soothe them. The best relaxation for your head and face ever! Escape to a “Relaxation Oasis” Your senses will be gently soothed and enhanced. An eclectic blend of Swedish and other relaxation massage techniques. You’ll feel relaxed and pampered after this special treatment. Aromatherapy enhances the effects of the massage and provides a sense of relaxation and relief from stress, muscle tension, and pain. 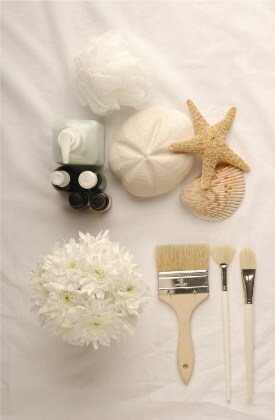 Phoenix has been a certified Aromatherapist since 1993, and has exceptional experience with custom aromatherapy blends. She also teaches classes to help you use the fantastic benefits of Aromatherapy in your home and office. Benefit: You receive an exceptional spa experience! Warm stones melt away tension while Aromatherapy soothes your mind and body. Precious Stone placement assists in balancing Chakras. Pictured Below is the Precious Stones Chakra Balancing Treatment. Available as an add-on treatment. See pricing for Spa Menu A La Carte Below. May be the most profoundly relaxing massage you ever experience. You might wonder how hot stones would be relaxing. Well, you’ll just have to try it. Words cannot adequately describe the level of indulgent tranquility. Definitely a hands on experience you’ll want to try! Indulge your senses in pure bliss. Good for your body too! Chocolates scientific latin name-Theobroma Cacoa means “Food of the Gods.” Chocolate contains the chemical phenylethylamine that’s released in our body when we fall in love. Now you can enjoy the sensory delights of chocolate at the spa. Let the delightful aroma, texture, and anti-oxidant properties of chocolate soothe your mind and body, lower stress and anxiety, and trigger euphoria. One famous Spa (Hershey) offers exlusive chocolate spa treatments. Clients have to schedule monthis in advance. Avoid the crowd and enjoy a chocolate escape in your own neighborhood. Recent scientific research shows that your brain responds to chocolate by producing endorphins. Chocolate contains anandamide that triggers a very mild “high” and natural ingredients that inhibit the breakdown of this substance, prolonging a sense of well-being. It also contains tryptophan, an essential amino acid that increases seratonin, an anti-depressent/stress reducer. Theobromine in chocolate acts as a diuretic reducing excess body fluid. Catchins, powerful anti-oxidants, are found in larger quantities in chocolate than black tea. Chocolate’s phenols may help reduce heart disease. Now that you know how good it is, let your body absorb it with this special treatment while enjoying the benefits of massage as well. Enjoy chocolate all over you! Of course you get to enjoy eating it too. This “cookie” scrub is a tantalizing treat to leave you feeling fabulously sleek. Oatmeal softens skin, while egg tones, oil moisturizes and smooths, while cocoa adds anti-oxidant properties and vanilla adds a euphoric aroma. A sensory experience like no other. Soak your feet in skin softening warm milk, cocoa, and essential oils. Next enjoy the the health promoting effects of foot reflexology. Finally your feet will be moisturized with cocoa mint lotion. A Relaxing full body massage with a cocoa mint massage lotion known for its skin softening properties that will tantalize your senses. This is relaxation at its finest. An exotic five star treatment! This exotic treatment was reportedly used to prepare silky smooth, lusciously scented skin for the chosen woman of the harem. Treat yourself like royalty, get a luxurious treatment with precious essential oils of frankincense, myrrh and sandalwood, combined with spices in a special formula to polish your skin, leaving you smooth, and smelling extraordinary. Includes a cleanse, massage, polish, aromatherapy mist, & moisturizer. You’ll love this treatment, especially if your feet are tired after standing. First I’ll wake up your feet in a foot bath with essential oils. Foot Reflexology-More than just a Foot Rub– This is for your health! Reflexology is a science and an art based on the principle that there are reflexes on the foot that map out the entire body system. By stimulating these reflexes we can affect a change in a distant part of the body and create healthy balance. Evidence of therapeutic foot treatments or” ancient reflexology” dates back 5000 years and is found on hieroglyphs on the tomb of an Egyptian physician. Hot Aromatherapy Foot Bath– 10 min $15. With Foot Massage– 15 min. $30. 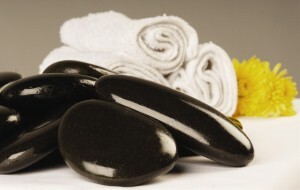 Hot Stone Aromatherapy Facial Massage 15 minutes $15. 2 oz custom massage oil blend $15. Scalp treatment with massage 15 minutes $15. Aromatherapy Hot Stone Massage $135. Seated Massage with Aromatherapy -15 minutes $20 or 30 minutes $45. Slimming Essential Oils are used in this treatment to increase the effect.